Except brunch. 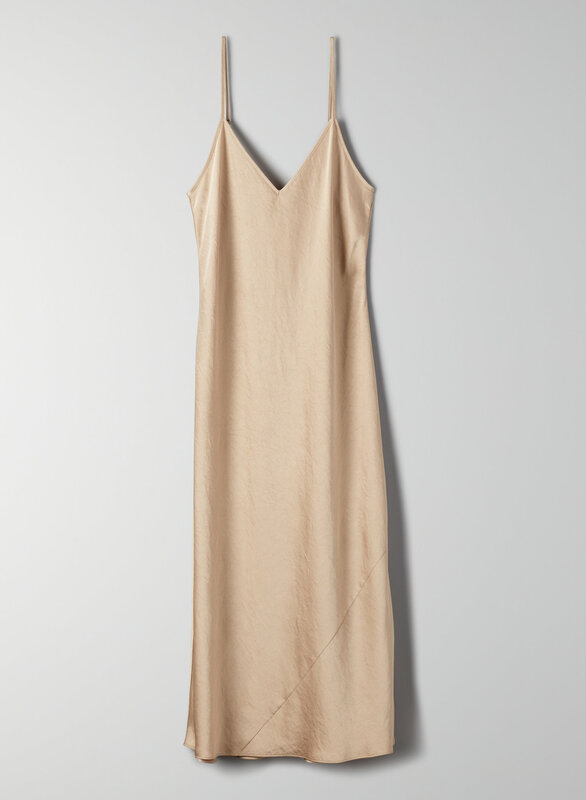 This is a lingerie-inspired slip dress with a V-neckline, adjustable straps and a bias cut that follows the curves of the body. It's made with a lightweight and fluid fabric.